Get your tickets online today! No paypal account is required. 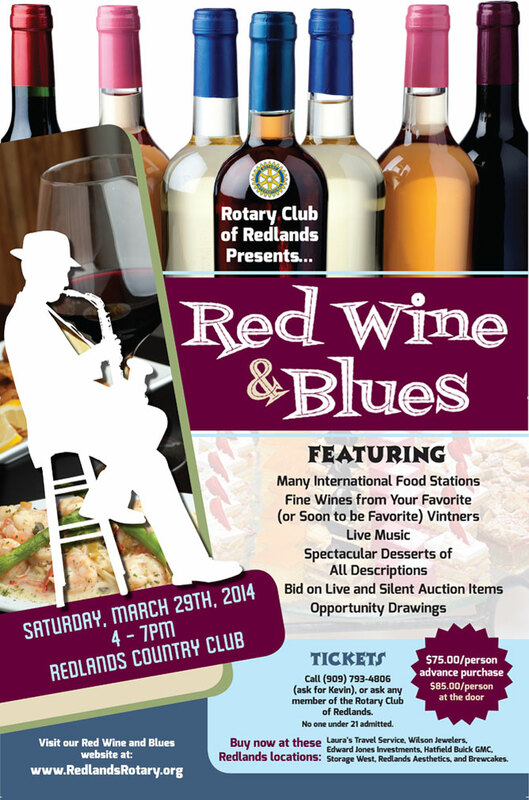 Saturday, March 29, 2014 – 4:00pm • 7:00pm • Redlands Country Club • 1749 Garden Street, Redlands, CA 92373 • Tickets • $75.00 per person • Great food, wine tasting, auction items • Music provided by “Big Pappa & TCB Band • All proceeds from the event support the youth of Redlands through scholarships!